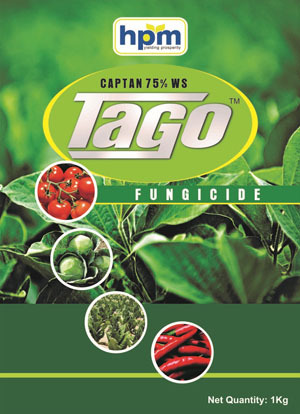 Tago (Captan 75% WS) is Non-systemic fungicide with Protective and Curative action. It is WS formulation which stands for water dispersible fine powder for dispersion in high concentration, allowing use as slurry. It is a Seed Treatment Fungicide. Tago is used against the Damping off disease in Chilli, Tomato, cabbage and tobacco. 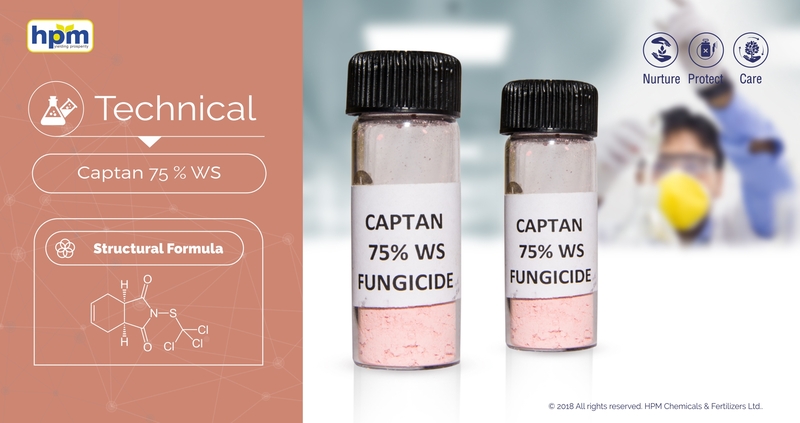 It controls Soil borne infection of fungal disease. Tago also improves the outward appearance of fruiting body making them brighter and healthier-looking. It is seed treatment fungicide. It is used against the damping off disease in Chilli, Tomato, Cabbage and Tobacco. It also improve the outward appearance of fruiting body making them brighter and healthier looking. Captan content, percent by mass 90.0% Min. Moisture Content, percent by mass m/m), Max 1.5% Max. 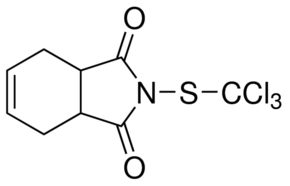 Free ionic chloride (as NaCI) percent by mass (m/m), Max 2.0% Max. Compatibility Incompatible with alkaline materials, oil sprays, TEPP, and emulsifiable concentrate formulations of parathion. Environmental Toxicity Captan has a low to moderate tendency to accumulate in living tissue. It is not toxic for mallard ducks and pheasants, bobwhite, quail. It is not toxic to starlings or red-winged blackbirds. It is very highly toxic to fish bluegill sunfish, harlequin fish, and brook trout. Honeybees are quite susceptible to low concentrations of Captan. Moderately toxic to aquatic invertebrates.